Although Herne is seen as an aspect of Cernunnos, the Horned God, in the Berkshire region of England there is actually a story behind the legend. 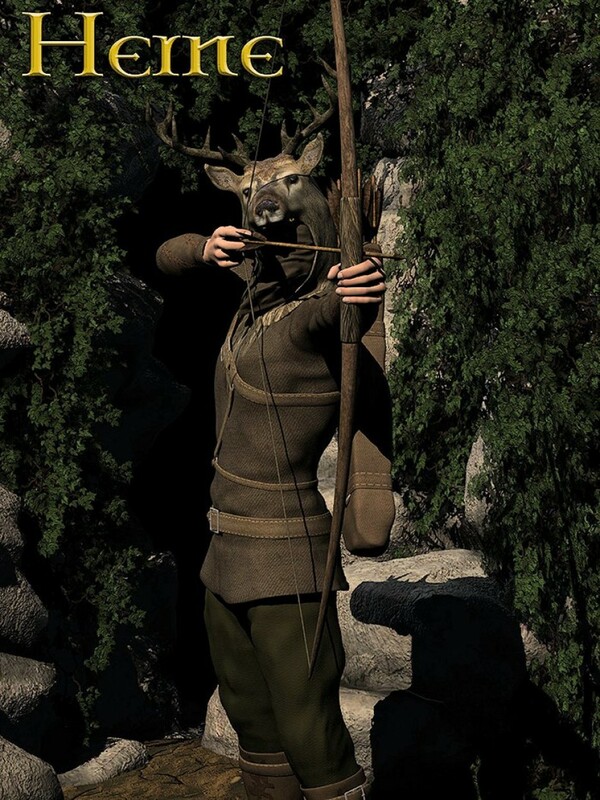 According to folklore, Herne was a huntsman employed by King Richard II. In one version of the story, other men became jealous of his status and accused him of poaching on the King's land. Falsely charged with treason, Herne became an outcast among his former friends. Finally, in despair, he hung himself from an oak tree which later became known as Herne's Oak. In another variation of the legend, Herne was fatally wounded while saving King Richard from a charging stag. He was miraculously cured by a magician who tied the antlers of the dead stag to Herne's head. As payment for bringing him back to life, the magician claimed Herne's skill in forestry. Doomed to live without his beloved hunt, Herne fled to the forest, and hanged himself, again from the oak tree. However, every night he rides once more leading a spectral hunt, chasing the game of Windsor Forest.